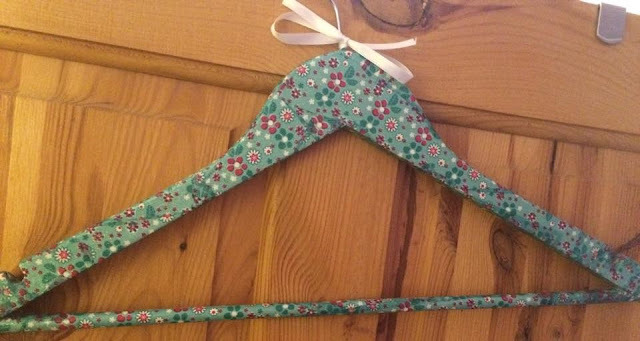 My Paper Cave is an Etsy shop which sells lovely decoupaged coat hangers, kitchen utensils etc. I ordered a pretty decoupaged floral coat hanger which I'd like to show you guys. The coat hanger itself is wooden and it's been decoupaged with a floral design and then finished with a glittery glaze. It's lovely and can be used to hang tops, trousers or skirts. The decoupaged hangers are just £3.50 which I think is fab as they are great quality and so pretty!